Happy Friday, y’all! So tonight we made pizza for dinner. It was perfect and delicious. 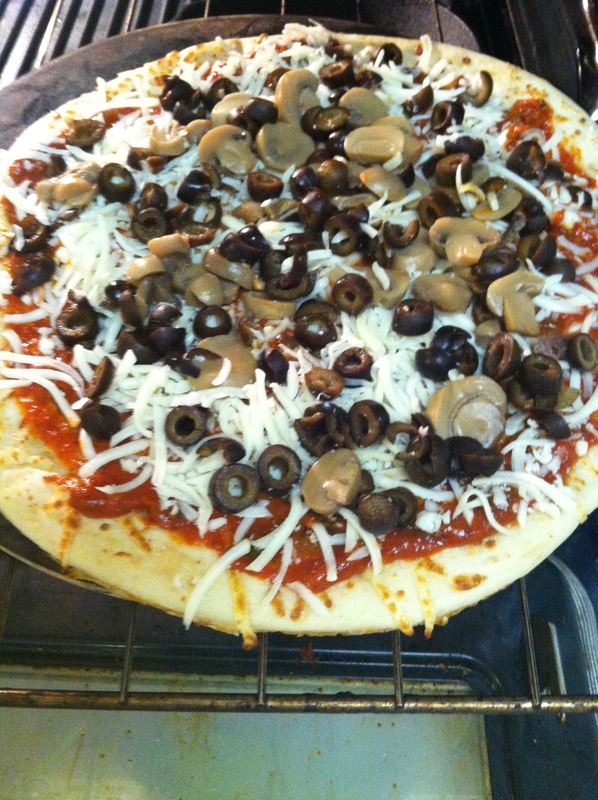 We used Boboli already made, homemade pizza sauce (https://funfoodiefamily.com/category/pizzas-flatbreads-toasts/) from the oven, and our own fave ingredients to top it off; mushrooms, black olives, pepperonis, and leftover steak (from leftover steak kabobs like these… https://funfoodiefamily.com/2013/10/05/date-night-steak-kabobs-and-twice-baked-potatoes/. Of course, we cannot forget fresh grated mozzarella! These are the before pics, but too many hungry munchkins made me forget to take the after pictures! 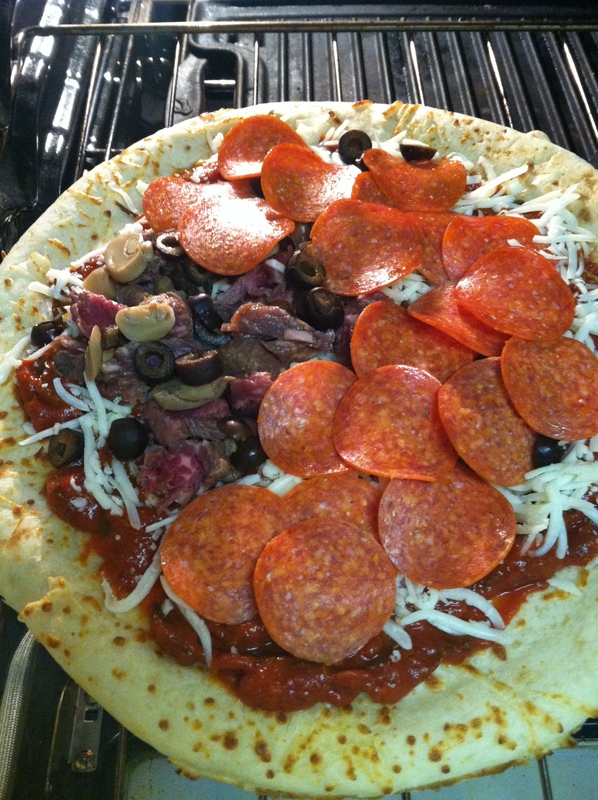 Family made pizza is always better than take-out!